Billy grew up in St.Agnes on the North Cornwall coast. Interested in food from an early age, he learned the basics of cooking and baking from his mother and grandmother, and by devouring cook books. While still at school he would regularly cook the evening meal for the whole family, and after college he had to decide between his 2 passions - food and technology. Technology won, and so rather than follow his elder sister into the catering industry, Billy went to The University of Salford to study Computer Science, and electronic engineering. After graduating and taking a few months off backpacking in Australia, he returned to Cornwall to look for work but came across a common problem in the county - he didn't have the experience to compete for the handful of technology jobs available, but was over skilled for many of the other jobs. After a frustrating series of unsuccessful job interviews he decided that maybe starting his own business was a better choice. In 2002 he founded Kernow Web Designs, creating web sites ane e-commerce solutions for local businesses. He also began experimenting with game development in his spare time. It wasn't long before he started picking up clients interested in games, and within a few years his business was truly international and almost exclusively games based. Over the past 10 years Kernow Web Designs have developed web and mobile games for clients all over the world including The BBC, Nickelodeon, Hasbro, Lucasarts and Orange. Despite not choosing it as a career, Billy never lost his love of food and cooking, and in 2008 he applied for TV's Masterchef. 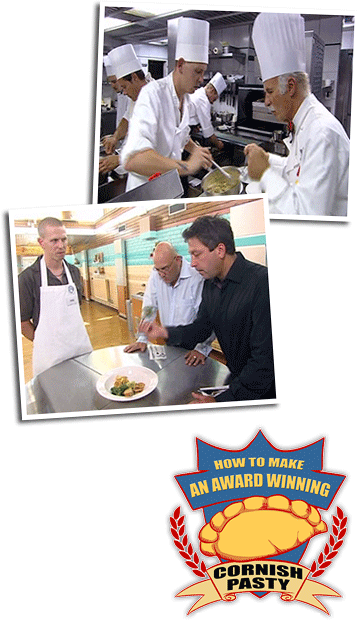 He was accepted on the program, and made it through the first round and into the professional kitchen, with an opportunity to cook with the famous 2 Michelin Star holding chef Anton Mosimann OBE. He was knocked out of the competition just before the quarter finals after cooking hiw own 2 course menu back in the Masterchef studio. The following year, he was invited back onto the program for a greulling 18 hour "come back" challenge. He cooking in 2 London restaurants, and then back to the studio to cook a 3 course menu of his own food, including a chicken saltimbocca in a Cornish mead and mushroom sauce. Once again, he was knocked out before the quarter finals but learned a huge amount from the experience. After Masterchef, Billy began writing recipes in his spare time, which he published online under the pen name Judith Stone, not wanting to use his real name which he had previously used for publishing writing on other, non-food subjects. 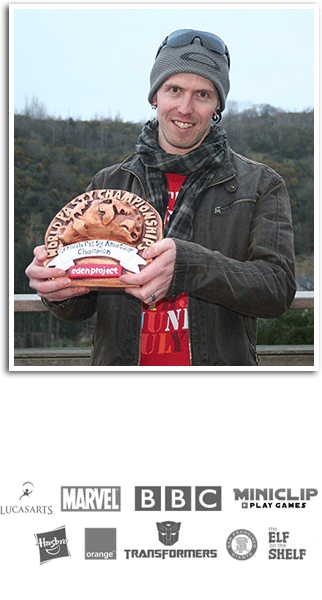 Then in 2012 he heard about the Cornish Pasty Championships to be held at The Eden Project. It sounded like a great event so he entered, and was pleasantly surprised when his pasty won, and he became the first ever Amateur Cornish Pasty World Champion. How To Make An Award Winning Cornish Pasty.